Do you have cataracts and would like to know more about them before undergoing surgery? Before you take such an important step, It’s crucial that you have some prior knowledge. For example, did you know that cataracts can develop in spurts if left untreated? Here, we go over how we treat our patients who are considering surgery and some of the recommendations for them before cataract surgery. We pride ourselves on efficient, state-of-the-art, patient-centered, and cost-effective cataract surgery. We have performed thousands of eye procedures, including cataract surgeries that have restored vision to our patients. 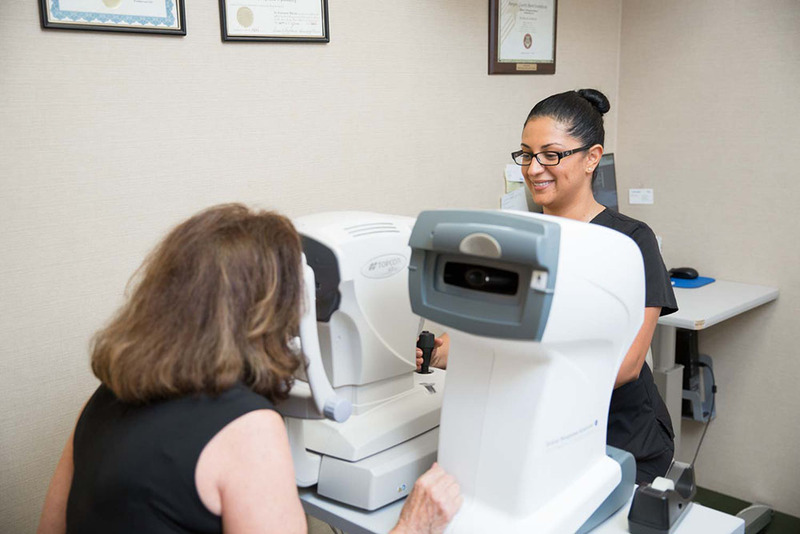 Though we specialize in cataract surgery, our New Jersey Eye Center is also a complete refractive practice, aimed at eliminating refractive errors and the need to wear glasses. With our new lens-implant technology we have the tools to do just that. This means that we can not only remove the cataracts, but we can remedy any previous visual impairments as well. The cataract surgery is generally painless but here’s what one should expect after cataract surgery. It’s not only young people who don’t want to wear glasses anymore! Plenty of our clients are adults and seniors with cataracts who wish to both remove the cataracts and restore their best possible vision. We can do both here at the NJEC. We balance the needs of our clients. Some wish to simply remove their cataracts, others to remove their cataracts and fix any refractive errors. For the former group of clients, they need cost-effective and efficient visual rehabilitation. Our approach to cataract surgery is just to do what the patient wants whenever clinically possible. There is no hard sell or excessive charges. If the client would also like to fix other, non-cataract related vision issues, with our high-end, premium technology, we can achieve this. But at the end of the day, we believe that our clients’ wishes and needs come front and center. This makes us different from other eye centers who may push and shove clients toward procedures which are not strictly necessary. Many clients are on Medicare and on a fixed income. They simply cannot afford to get the newest technology implants or the latest refractive cataract procedures. Patients often come to us from other practices where they have been subjected to hard-sell tactics. These people feel bad that they cannot afford more expensive refractive-type cataract surgery. Here, we don’t push. If all a client wants is a bread-and-butter surgery, that’s what we offer them. The other thing that sets us apart is that we’ve got great bedside manner, if we do say so ourselves! In fact, we treat each and every patient like our very own parents! Take cataracts seriously, don’t wait too long! We are not overly aggressive, but we certainly don’t like to let cataracts wait. We are inclined to fix cataracts as soon as they begin to cause visual problems. In some practices, they may let the patient’s cataracts linger and ripen for a long time. This makes cataracts more difficult to deal with. We prefer to be pro-active because we know that leaving cataracts for too long can lead to issues. Cataracts can develop in spurts. The surgical challenge then increases in tandem with the cataracts’ growth. We want to get the client here before this reaches a critical level. For us, surgical efficiency means being timely. Early cataract surgery can take just 10 minutes or less. Early surgery also means a swiftly recovery period. If a cataract is left for 20 years, for example, it becomes very hard and can take half an hour or more to remove. There’s also going to be a higher chance of complications and the healing time will reach two weeks or more. This is something all patients need to know before cataract surgery. Furthermore, we don’t like being “in” an eye for half an hour because the potential for damage increases with exposure. Ideally, it’s best to spend five to ten minutes only during a cataract procedure. For the above reasons, it makes no sense to wait if a client has a legitimate cataract which can be removed without surgical difficulty. We take cataracts very seriously so we try to be efficient and expeditious when it comes to surgery. We use regular tried-and-true yet state-of-the-art, techniques. But, if our client would like the newer technologies which can provide more versatility and flexibility to their vision, we can do that too. Although we are mainly a refractive clinic, we are more than happy to put aside our main work and carry out procedure which suit the client. We want our people to walk out of here seeing the world with new eyes and happy that they chose us. We can wait until we notice that the cataract has reached a certain stage, to do this we need to check it every three months or six months. The latter is recommended when we can see that the cataract is progressing slowly. If, however, it’s maturing quickly, we may recommend a shorter waiting time or a shorter period in between checks. If the client does not have much of a cataract, we prefer to wait before doing surgery. If the cataract appears to be maturing rapidly, then we will push for surgery. There’s a threshold above which surgery becomes much more difficult. This can be seen from the size of the cataract. The client’s needs have to be balanced with our desire for surgical efficiency and that’s something we strive for every day here at the NJEC. If you have questions before cataract surgery, please feel free to reach out to us. Our door is always open! Book an Online Appointment Now!